Are you regularly creating documents, such as:By using Chansel you will save:Chansel takes away all the fiddly (and risky) copy/pasting thats associated with manually creating contracts, agreements and documents automating the process in a simple, user-friendly way. Anyone can use it Chansel works right out of the box. Our quick and easy step-by-step tutorial will have you up and running in no time. No steep learning curve. No need for specialist IT staff.Our short and fun video introduction to ChanselYou use Chansel side-by-side with your regular word processor or editor. Chansel builds and alters documents in powerful ways that word processors are not designed to do.If youre in the legal, real estate, insurance industry, or other corporate services, get in touch. Well show you how Chansel can save you time and money. Make document creation and life a lot more enjoyable!The Screenshot shows an example of Chansel in Action, creating an estate agent flyer.Chansel is for anyone who creates and edits documents. If youre a solicitor, lawyer, or landlord, you may use Chansel for contracts work. An estate agent can use Chansel forworking with flyers and leases, and so on. Chansel has no complicated set-up, so you can use Chansel right away, even if youre bad with computers.Setting up document automation (which is optional) is done via a simple user interface, no scripting is required.Chansel is only 99.00. There is no rebilling and the licence duration is not less than one year. Click here to download and buy.Chansel is the flagship title of Perfect SOA, a software development company based in the UK. Perfect SOA is staffed by a team of experts who bring with them many years of experience in providing specialist solutions for some of the worlds leading software companies. We offer support, training, services and consultancy for Chansel and document preparation.So give us an example of how it works?Say youre a real estate agent wanting to create a contract for the sale of a property. You set up your document template (in standard word-processing software) by adding tags defined by you such as ADDRESS, HOUSE TYPE, and TERMS OF SALE. You can of course do this well in advance and have a library of templates in your system ready to go.Open the template containing the place-holder tags in Chansel. You can then begin importing text or other media using Chansel to replace the tags. You can do this in several simple ways.You can use Channel Edit Mode and create channels to add text or images to your document. A channel can be thought of as a pipe used to bring in existing elements, a paragraph of text, or an address, for example. The same Channels can be re-used any time across different documents. For example, if you want to re-use some legal fine print from a text doc, channels are a great way to re-use this text across many documents.Wizard mode takes you step by step through a series of questions that ask what you want in your doc then Chansel creates it.In our real estate example, Which city is the house located? can be refined by a question like: Which suburb? This in turn can be followed by a further child question, such as: Which street?The real world application of this is that documents can be completely generated by staff via a series of multi-choice questions. Quickly and error free. When youre dealing with contracts mistakes can be costly, financially and to your reputation. How easy is it to miss out a zero or put a decimal point in the wrong place? With Chansel such errors can be a thing of the past.Contact us to find out more.Chansel runs on Windows 7 or later, with Mac and Linux installers on the way. It is easy to use, inexpensive and applicable to a huge range of professions. Think of the time you will save by eliminating repetitive manual creation of similar documents. You will save time and money by using Chansel!ID LIKE TO DOWNLOAD AND BUY (No risk, money-back guaranteed if not fully satisfied. 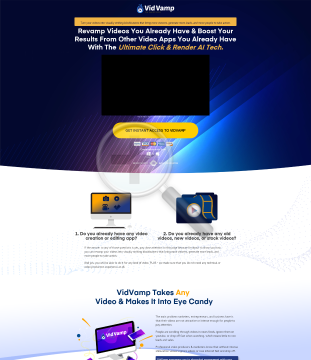 Download and use immediately).Id like to request more information See also our Step-by-Step Guide.Disclaimer: ClickBank is the retailer of products on this site. CLICKBANK is a registered trademark of Click Sales, Inc., a Delaware corporation located at 917 S. Lusk Street, Suite 200, Boise Idaho, 83706, USA and used by permission. ClickBanks role as retailer does not constitute an endorsement, approval or review of these products or any claim, statement or opinion used in promotion of these products. Chansel Is The Next Level In Document Building. Are You Regularly Creating Documents? Chansel Will Save You Time, Money And Prevent You Making Mistakes. Chansel Works Along Side Your Word Processor Or Editor To Speed Up Your Work And Reduce Risk.